September 30, 2018: The BinDawood Group’s Danube stores and Danube Online, in collaboration with the French Ministry of Agriculture, celebrated the kick-off of a French food festival today across all Danube stores and on Danube Online which aims to promote French food and gastronomy across the Kingdom. 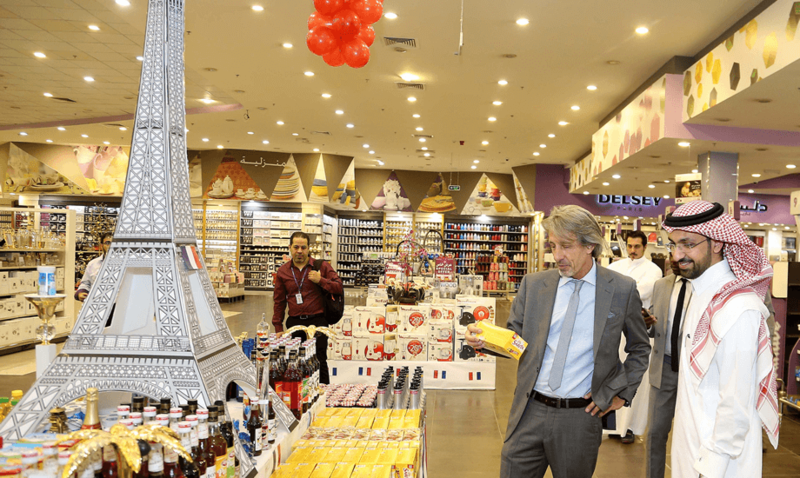 The ‘Bon Appétit’ launch was held at Danube’s flagship Nakhla store in Riyadh and was attended by the French embassy’ regional agricultural counsellor, Mr. Wilfrid Fousse. The festival runs from 26th of September to 10th of October and features multiple activities across Danube stores including live cooking demonstrations by the president of the World Association of Chefs’ Societies, using world-renowned French brands in Hayat Mall, Riyadh on 28th of September, Al Raka mall Khobar, 29th September and Red Sea Mall, Jeddah on 4th of October. Danube customers will also have the chance to taste French cuisine in Paris with 2 return tickets to Paris for 3 winners (total 6 return tickets) to be had by registering on the Danube App, as part of the ‘Bon Appétit’ festival. “France and Saudi Arabia have many common interests and the love of delicious food is one of them. The ‘Bon Appétit’ campaign is a wonderful initiative to create awareness of some of France’s most well-known food brands to Saudi consumers across the Kingdom, offering them the chance to sample these wonderful French products and taste bona fide French cuisine from some of our country’s most well-known chefs,”; commented Mr. Wilfrid Fousse. “We are very proud to announce this collaboration with the French Ministry of Agriculture and Danube. As a brand, Danube has strong legacy of sourcing and heralding world-famous food and beverage brands into the Kingdom and introducing new tastes and cuisines to our customers. With food sampling across all 41 stores the ‘Bon Appétit’ campaign will familiarise Danube customers with new tastes and the calibre of these global French brands, and even give some the chance to win trips to Paris by registering on the Danube App,” added Mr Ahmad AR. BinDawood, CEO DanubeCo & BinDawood stores. The ‘Bon Appétit’ campaign will conclude with an event at the French Ambassador’s Residence end of October, where Celebrity chef Maroun Chedid will be offering an exclusive French menu for the occasion. The event is open to the public and more information can be found on @BonAppetit.me. Download the Danube App here.